This week has been a productive and relaxing week. The kids stayed a week in Atlanta, Ga with their grandparents for spring break. I was so torn. A part of me didn't want them to go and the other half couldn't wait to spend time with my hubby. 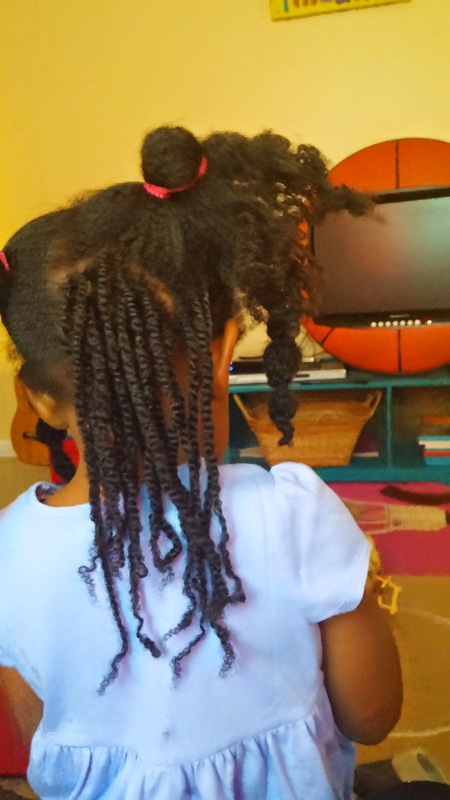 Before we took the kids to ATL, I decided that I would do a protective style on my daughter. 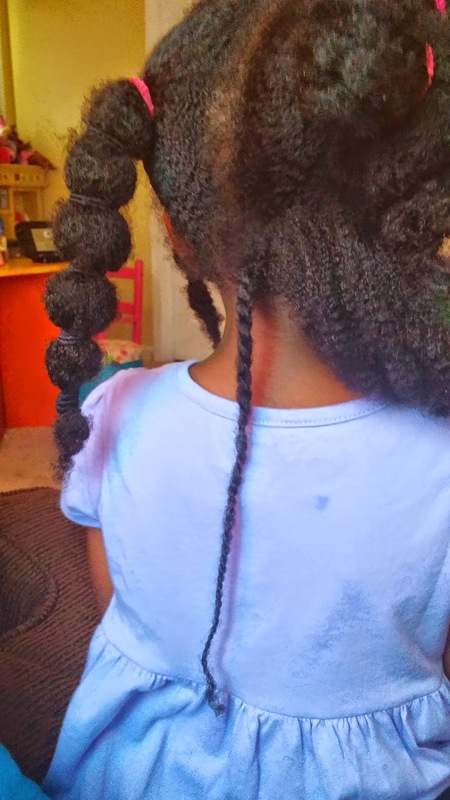 Since I can't braid, I like to do two strand twists. 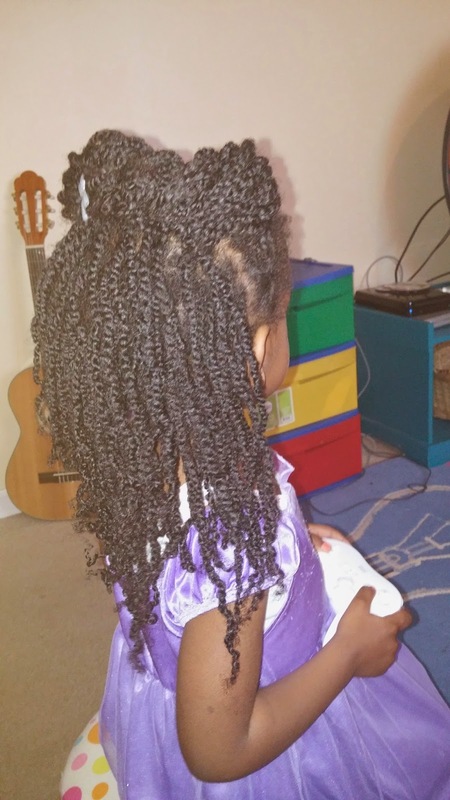 I honestly can't tell you how many twists I did on my daughter's hair, but it felt like it took forever!! It took me 4 hours to finish her hair, and she was such a big girl! I was pleased with the results and I will definitley try this again for the summer.